Snap-on gives you more ways to turn more fasteners than anyone else, and most importantly, we give you all the options you need to tighten them correctly. 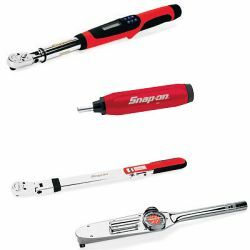 So whether you are looking for torque screwdrivers or full featured calibration systems, we have the products in the styles and the ranges you need. They are products trusted to build jet engines and farm tractors, spacecraft and machine tools, nuclear reactors and automobiles. Whenever rotating assemblies or high stresses occur, that’s where you’ll find the world’s finest Torque Wrenches and Torque Mulipliers.